Are you looking for a way to have information like online donations or volunteer registrations stream directly into FundRaiser? The FundRaiser Donor Portal is the solution. The Donor Portal offers a seamless, secure connection between FundRaiser and your website. Data is transferred in real-time using state-of-the-art security measures so you can rest comfortably knowing that sensitive donor information will remain private. Whether you have FundRaiser installed on your own server, or we host it on our secure servers, the Donor Portal can seamlessly integrate to eliminate double-entry and make your life easier! Call today to learn more! 800-880-3454 ext. 3 or click on the tabs below to explore the options. Donating online is the method of choice for many of today's donors. Nothing could be easier than simply clicking the "Donate Now" button and following the prompts. The Donor Portal seamlessly integrates with your credit card processor and payment gateway to accept online donations and have them automatically appear in FundRaiser - no manual entry required. 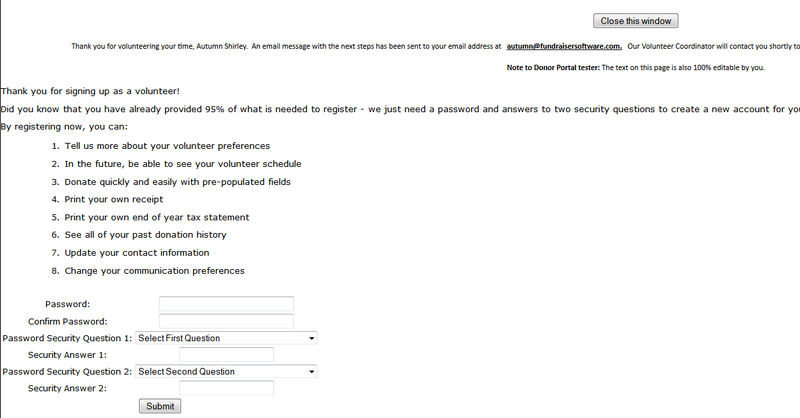 Offer your donors the option of setting up a recurring donation on your website. They can choose the amount, the day of the month to process it, the processing schedule (monthly, bi-monthly, quarterly, etc), and even the end date. The donation and all of its details will come into FundRaiser automatically, and the recurring donation will be completely set up. 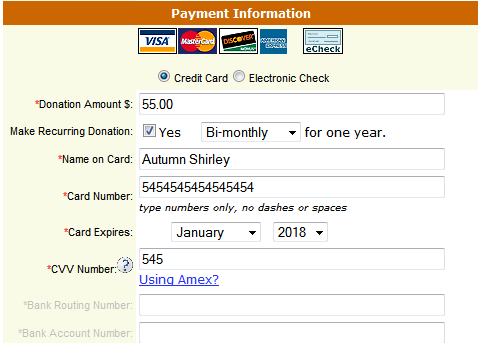 FundRaiser will then push the information to your credit card processor to process the donation automatically on the preferred date and schedule - no more manual processing or manual entry. The Donor Portal is easy to set up and seamlessly transfers all online information direclty into your FundRaiser database. You decide what information you want to capture, and where you want it to go, and FundRaiser does the rest in one easy step. Perhaps best of all, the Donor Portal can also be updated from inside of FundRaiser, giving you unparalleled control over your web pages. Don't wait for your webmaster to update your pages for you, take matters into your own hands with the Portal; there has never been a closer integration between online donations from your website and your donor management software! Want to see how it might look to your donors? 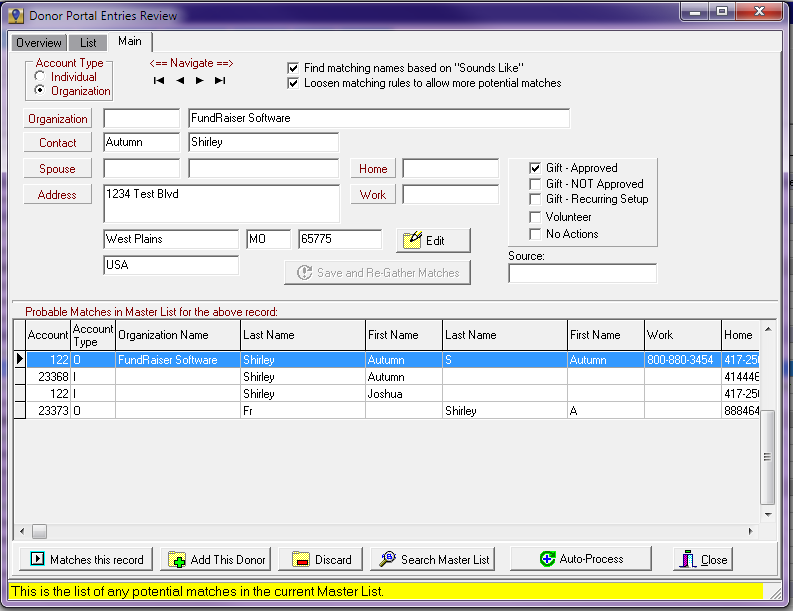 Click Here to view a demonstration page for the Donor Portal. This is a secure page connected to a copy of FundRaiser that we maintain, so you can donate, create an account, even sign up to volunteer. To donate, use credit card number 54545454... to test the donate feature. The FundRaiser Donor Portal is an easy, cost-effective way to harness the power of the internet to build stronger relationships with your donors, while saving countless hours of data-entry time. It's time to bridge the divide between your online donor community and your donor management software with the Donor Portal. Like the Donor Portal, the Volunteer Portal updates FundRaiser in real-time, eliminating the need to import or re-enter information about your new volunteers. You can also make changes directly to your Volunteer Portal through FundRaiser, eliminating the need to wait for a web developer to update your page for you. Want to see how it might look to your volunteers? 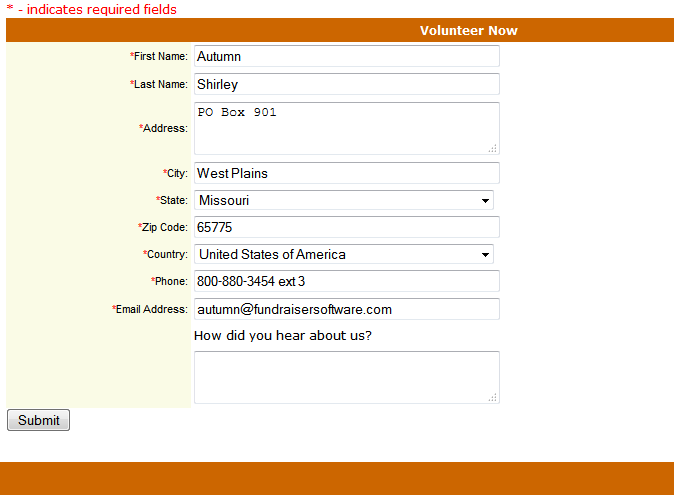 Click Here to view a demonstration page for the Volunteer Portal. This is a secure page connected to a copy of FundRaiser that we maintain, so you register to volunteer, create an account, and see all the options available for specifying skills, availability, interests, and more. Our Donor Portal can also function behind the scenes as an API to bring data in from custom applications or third-party applications. We are always open to exploring new partnership opportunities with companies who offer complimentary services, such as online event registration, crowd fundraising, and more. Don't hesitate to contact us if you are currently working with a company that you would love to see integrate with FundRaiser! 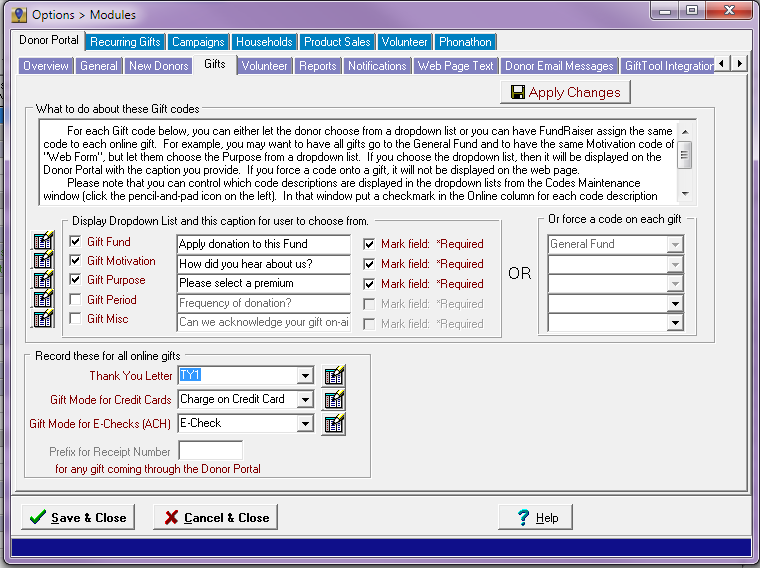 All of this can now be streamed right into FundRaiser using the GiftTool Integration Extension with the Donor Portal! See how to test your firewall security.